Located at the south end of campus, Fogler Annex houses infrequently used books, archival materials, pre-1935 bound periodicals, and government publications. These materials are listed in the URSUS catalog as “ORO Annex”. Closed to the public, requests for items are made at the Circulation desk. Annex materials are retrieved at 10:00am and 3:00pm on weekdays only and are ready for pick-up one hour later. Materials available for loan through the Circulation Desk includes the general collection, Government Publications, Popular books, Reserve Collection, and Learning Materials Collection. Reference materials and journals do not circulate. Special Collections materials must be checked-out in Special Collections. 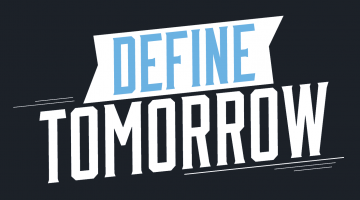 University of Maine borrowers must be currently enrolled or employed at the University; they must present their University of Maine MaineCard to borrow books or use the Reserve collection. University of Maine System borrowers (students and employees from other campuses), must be currently enrolled or employed by the system, and must present their university library identification card to borrow books or use the Reserve collection. Alumni, Courtesy, and Corporate Card patrons must have a current record at Fogler Library and must present their Courtesy card to borrow books. Government Publications, Popular books, and Learning Materials Center loan periods vary and are often limited to 28 days or less. Most material is renewable, and all material is subject to recall after two weeks, or immediately if needed for Reserve. UMaine students, faculty, and staff update their contact information in MaineStreet; however, inform Circulation staff (um.library.circ@maine.edu), of updates as well given that changes in MaineStreet are not immediately reflected in the library database. Other cardholders should inform their home library. Fogler Library accepts several kinds of identification cards. All cards, including MaineCards, must be entered into the library patron database before library services (e.g. book check-out, online database access, requesting materials through URSUS) can be used. 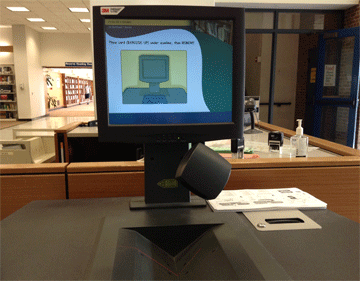 Circulation staff will link the library barcode on your MaineCard to your record in the library database upon request. Due to licensing agreements with database vendors, the only card that provides online access to licensed indexes and databases is the University MaineCard. Other cardholders may search online databases from within the library, but not from remote locations. Library is not responsible for items missing or stolen from lockers. Lost and Found is located at the Circulation Desk. Items are held for approximately three months. Valuable items are sent to UMaine Police. Overdue notices are sent as a courtesy. Fogler Library sends courtesy reminder notices (5 days prior to date due), first overdue notices, recall notices, hold pick-up, and cancellation notices via email. Fogler will use an email address from student records and payroll. If none is provided, the above notices will be sent regular mail, as will invoices and statements. Courtesy reminder notices are sent via email only. Failure to receive notification of an overdue item does not relieve the borrower of penalties. Fines for most material accrue at $0.50 per day with an additional $45.00 replacement charge for non-return of the material. All fines and replacement charges incurred by University of Maine students for Fogler material are debited to their University account and are due to the University. Faculty, staff, and other cardholders must pay fines and replacement charges for Fogler Library material at the Fogler Library Administrative Offices. Charges incurred by any borrower and due to other University of Maine System libraries may also be paid at the Administrative Offices. Borrowing privileges may be suspended as a result of fines and replacement fees. All material requested through Interlibrary Loan, the URSUS request function, Maine InfoNet, or from Fogler Library holds and recalls are held at the Circulation Desk for one week. Bring your library ID card to borrow material held at Circulation. Along with other campus departments the Library has implemented a print management system. Pharos Uniprint has been installed on the printers in the Information Commons. Students and staff will be given $16.00 on their MaineCard each semester to use for printing at any of the Uniprint locations. The print management system tracks usage and will show the printing funds balance each time you swipe your card. If the $16.00 is used before the end of the semester the system will automatically draw from whatever campus funds are available on your card. The printing charge at the library is $0.04 per page. Photocopying at Fogler library also uses the MaineCard for payment. The copying charges come from the campus funds account. You can add money to your MaineCard Campus Funds in either the MaineCard office, Fogler Library or in the Union lobby. The photocopying charge at the library is $0.08 per page ($0.10 if using coins). Community patrons can purchase a reusable printing/photocopying card at the vending machine adjacent to the Circulation/Reserve Desk. Cards cost $1.00 ($0.50 for card + $0.50 printing/copying credit). Additional credit can be added at the vending machine (which accepts $1.00, $5.00, $10.00 and $20.00 bills). Please note the vending machine does not make change. If an item is checked out to another borrower, Circulation staff will recall it for your use, after the first borrower has had the item for two weeks. Note: the library cannot provide any information about the person who has the book checked out. If an item has the status “available” in URSUS, but is not on the shelf, Circulation staff will search the stacks and mail a notification to you when the item is located. Cardholder required to request renewals. Renewal requests by email or mail must include your name, library card barcode number, and the items to be renewed. Renewals are denied for the following reasons: item is on hold for another patron; item has been billed for replacement; item has been renewed too many times; borrowing privileges have been blocked; library account has expired. Items billed for replacement and those with too many renewals must be brought to the Circulation Desk for renewal. Book returns are located at the Circulation, North, and East Desks. Outside book returns are located adjacent to both entrances. Reserve materials are returned to the Circulation Desk. Audio/Video equipment are returned to the Circulation Desk. Special Collections materials are returned to the Special Collections Department. Materials may also be returned by mail to the library or returned to any University of Maine System library or center. Return receipts are available upon request. The self checkout kiosk is located at the East Checkout Desk in the Information Commons. Simply follow on-screen instructions to scan your ID card, then scan the circulation barcode, typically located in the upper left-hand corner of a book’s back cover. For assistance, inquire with library staff at the East Checkout Desk. Borrowing privileges are suspended when fines have been incurred or when books are overdue and not returned. Please see Circulation staff for assistance with blocked records. Do not leave your record on the screen (we recommend closing the browser window). Do not share your identification card or barcode number.